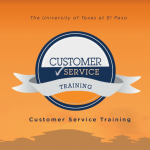 This On-Line Customer Service Training course on Blackboard is available to all employees but is a required course for all students who are eligible for work-study. 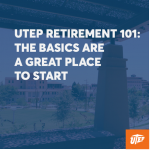 Learn the basics and the benefits of UTEP's retirement plan. Have you ever had a conversation that you know could have gone better? 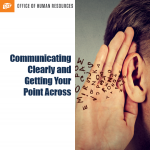 This session will help you develop an engaging and responsive communication style. Stressors can place a tremendous burden on your life. 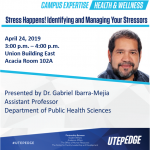 We will discuss how to identify and manage stressors from an individual and organizational perspective. Join us to learn about the services and benefits both on and off campus as you welcome your new little Miner. 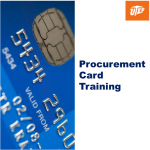 This two hour course will outline the legalities and requirements of utilizing a UTEP Procurement Card. Account reconcilers will be shown the electronic VP7 document and its function in the process. This discussion will cover the link between diversity and productivity. Sign up for this session to better understand how embracing people's differences can spark innovation.